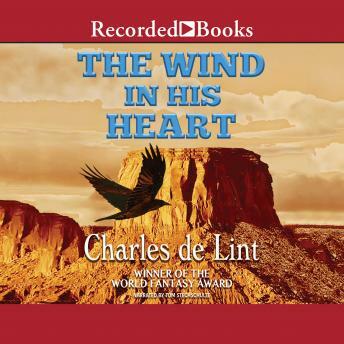 De Lint's first adult fantasy novel in 8 years weaves a rich tapestry of story with classic CdL elegance. Young Thomas Corn Eyes sees into the otherworld, but all he wants to do is get off the rez. Steve Cole escaped from his rock star life to disappear into the desert and mountains. Fifteen-year-old barrio kid Sadie Higgins has been discarded once too often. Blogger Leah Hardin needs to leave Newford, come to terms with the loss of her best friend, and actually engage with her life. When these lives collide in the Hierro Maderas Mountains, they must struggle to escape their messy pasts and find a way to carve a future for themselves. They don't just have to learn how to survive. They have to learn how to fly.